That belly looks ALIVE, you know what I mean? Smiling right now! 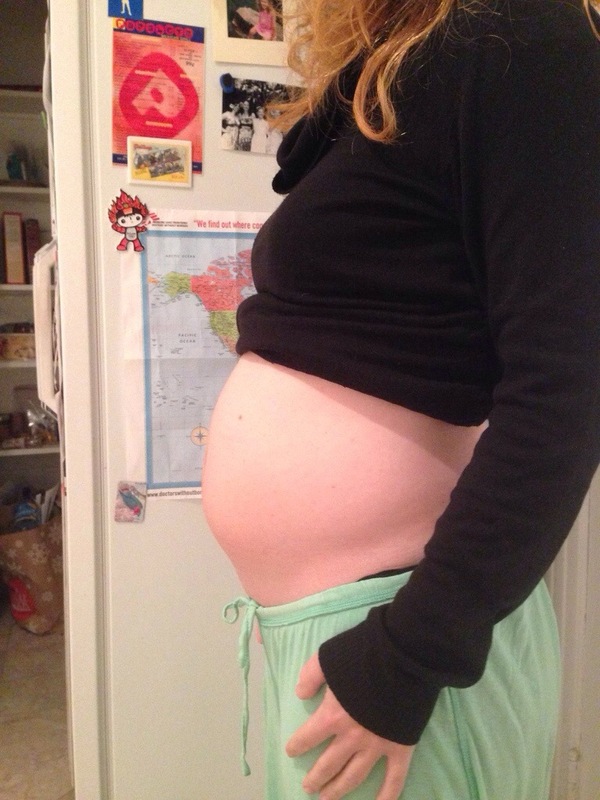 We are a few days apart and I am happy to report that my belly is about the same size :). Fun to compare! Can’t wait for 5.5 months from now! And I love the weekly belly shots. I have to see you in person before that beautiful belly gets any bigger!! Lots to give Thanks for this year.